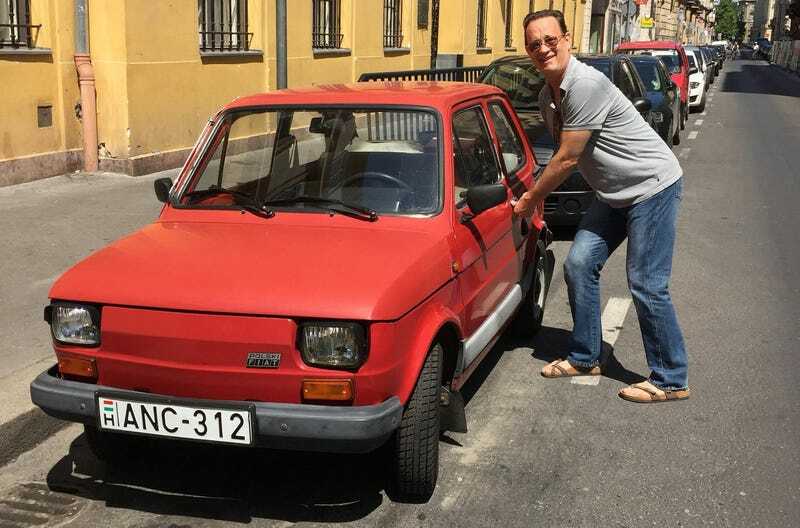 Actor Tom Hanks posed for photos next to some old tiny cars while filming in Hungary, tweeted them, and now some Polish people are trying to ship him a car. Picked up today by the AFP via Yahoo News, but seemingly reported on as far back as November by FAKT24.pl, a movement to raise money to buy a Fiat 126p, restore it, and then ship it to Tom Hanks in the U.S. is well under way. The heart of the movement is a woman named Monika Jaskolska, who came up with the idea after seeing photos of Hanks enjoying multiple tiny old European cars. She managed to raise around $2,150 over Facebook, but the shop working on the car and the transport company bringing it to America apparently waved costs so the money could go to a local hospital instead, according to FAKT24.pl. If the video in this other article from Sunday is anything to go by, the actual car may be teal-blue and covered in stickers. It’s currently unclear when the car is actually going to be delivered, or if Tom Hanks has any idea it’s coming. Nonetheless, congrats Hanx. Let us know when you get it. Our own Jason Torchinsky is foaming at the mouth. 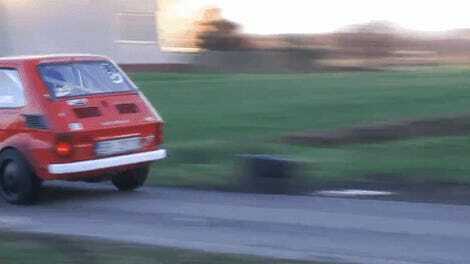 Is This The World&apos;s Smallest Snowplow?